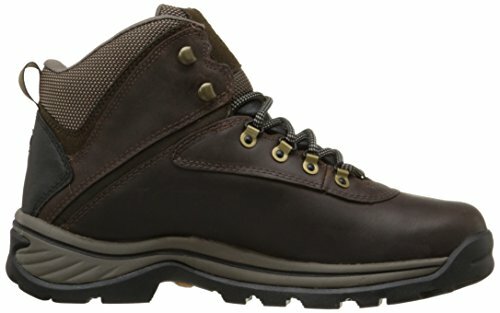 Ideal hiking boots can make hiking mountain trails and splashing around through puddles an amazing experience. Hiking shoes of high quality are resistant to water in muddy areas and should be able to survive through dusty and dry trails. The best way to decide if the hiking boot suits your needs is to test them on hikes or short trails. Here, you will see a comparison of some hiking boots concerning their comfort, durability, weight, versatility, support, traction and water resistance. The following list is high-quality footwear that every hiking lover would like to own. This guide will help you to see differences between various models of hiking footwear and to make your best pick. 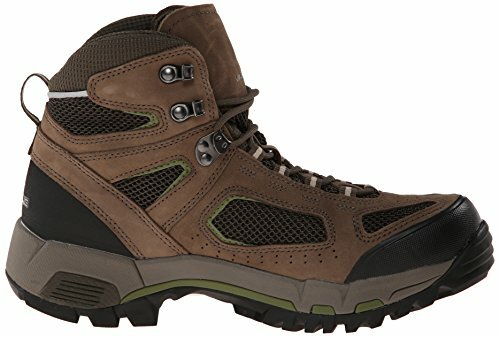 Let’s find the best hiking boots reviews 2017! ** Below, you'll find more detailed reviews, but you can click links above to see current prices and read customer's review on Amazon. How to choose the perfect hiking boots? From the successful manufacturer of comfy work boots, the Timberland White Ledge Mid is an economy model of all-leather hiking boot which is very popular among people who both love hiking and have jobs that require shoes with thick bumpers that will protect their feet. The leather upper with seam-sealed joints does a fair job keeping water out, as the joints are commonly weak points even though there is an absence of a waterproof membrane in the lining. The lace closure is firmly attached to the leather uppers with standard metal D-rings for this type of boot. Simultaneously, this product is comfy and well padded around the ankle with soft cushions, covered with perforated fabric allowing them to breathe quite well for a full leather boot, ergo – comfort shouldn’t be an issue. The main safety feature is undoubtedly the superior traction outsole which gives you excellent traction on varied surfaces and reduces foot fatigue. It should do the job if you work around wet and slippery terrain since they are very slip-resistant and very lightweight weighing just around 1kg/2,2lbs. per pair so they’ll won’t weigh you down. Also, the gusseted anti-debris tongue will manage debris and falling objects if you are working in harsh environments so you will be protected as you move. 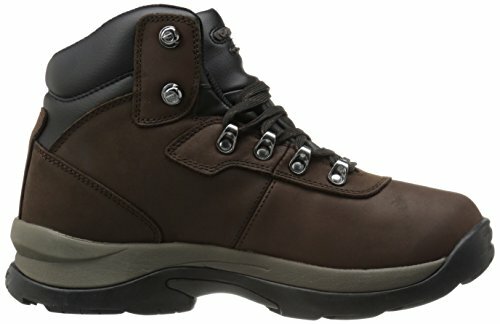 Timberland White Ledge are generally high quality, comfy leather boot and a good choice for people who like to hike occasionally. Full-grained, abrasion resistant leather definitely will help regarding durability, but their high point is the seam-sealed joints since the extra protection is important for durable work boots. They will certainly endure a longer while if you wear them at occasional hikes but gardening work, roofing, and carpentry would put them to the real test. This model has a one-piece lower quality leather upper with no safety toe included, and that may be an issue depending on your working environment. The upper lacing eyelets bend easily, and all the holes loosen and spin. Also, the sole began to delaminate from the toe after a while, and it seems this boots can be easily worn off and destroyed if you are an everyday hiker. It should be noted that they are not 100% waterproof. Generally, they are prized amongst roofers and carpenters who want a low-cost working boot that is durable, but that’s what it is. Hi-Tec continued to make versions of the Altitude Boot, and in this case, version IV has significantly improved upon past models making it a great option for those in need of a rugged and reliable hiking boot. The HI-Tec Altitude IV is an excellent entry-level product that is worth your attention for what it represents. As usual, it comes in a seam-sealed nubuck leather and textile material supported by a sturdy rubber outsole for excellent traction in a variety of different surface conditions and it’s one of the most supportive boots available in its class. The compression-molded EVA midsole adds to the comfort thus providing lightweight cushioning. It features a softly padded leather collar, fully gusseted leather tongue, and a rustproof brass hardware to hold laces in place. They will take care of your feet with the Hi-Tec Texon board last with a steel shank for strength and stability providing extra support and rigidity in harsh environments. The Hi-Tec Altitude IV should hold up well whether you are walking along gravel and sandy elements, on a wet and moist areas. However, while they claim to be waterproof, that should not be taken for granted. One of the great things about these boots is that they are very comfortable allowing you to wear them for a quite long time continuously and due to their quality and durability, they should prove worthy of the test of time. The waterproofness isn’t reliable as it claims to be, and although they may not start taking on lots of water, it has been noticed that they can get to be a bit colder compared to the competition. The laces are way too short, they can be tied just barely, but it’s a minor problem and can be easily solved. Also, there is a sizing issue, and some owners became disappointed when ordering this product, so be aware that these boots don’t fit the same as some other lines of boots. The upper of this boot is almost all nubuck leather, with some textile details and a breathable mesh on the tongue. It also features a substantial removable dual density EVA midsole which offers a much-needed cushion for long hikes and noticeably large rubber toe cap for additional protection. The design and lacing system, which is made up of three lower, one middle, and one upper locking eyelet, is quite versatile, meaning, people with wide or narrow feet will both get a decent fit. The appropriately named Torsion Stability ESS shank provides excellent support and torsional stability, and the ankle collar is fairly high, all that making them surprisingly comfortable for the support and stability they provide for a lightweight hiker. The Targhee’s proprietary non-marking carbon rubber sole with 4mm lugs to bite into the terrain proved to have an excellent tracking control if we exclude wet, slippery surfaces. The ankle collar provides stability protecting the ankle bones from bump and bruises. The Keen Targhee II is well-suited for long-distance backpacking with light loads. Muddy and wet trails should not be an issue, and won’t slow you down while being in this boots making a hiking day a pleasant ride. The waterproof coating means that these boots do not provide air flow, but the eVent membrane does keep your feet dry. The problem is the leather itself does not shed water at all. Actually, it absorbs pretty fast so definitely wax it right out of the box and dry your boots after a drizzly or muddy trek. The flat front at the toes makes it harder to grip on small ledges when climbing slopes and that could be problematic if you prefer rock climbing. Be aware that the traction of these shoes is dangerous in any type of wet conditions and even walking on sidewalks in urban areas can be an adventure in these boots. Also, the molding around the bottom that comes up along the side tends to separate so regarding durability you could be disappointed. Once again, Timberland brings us the classic leather design of the Chocorua Trail Gore-Tex hiking boots with its simple, yet featured lacing system, and firm, yet flexible soles at the forefeet with well-padded lining for comfort on the trail. Timberland has a reputation for their exceptional boots, and Chocorua Trails are no different. The upper body is a combination of leather, which is made waterproof during the tanning process, and synthetic. The seams are sealed, and internal waterproof while breathable Gore-Tex membrane is used to keep your feet dry. The exclusive anti-fatigue technology will give you long-lasting comfort so you can spend extended periods of time in these resting assure that your feet won’t start aching. One of the most notable design features, concerning water resistance, is certainly one of the top notch lacing hardware which is rust proof with hooks at the top allowing you personalized tightness and support. Chocorua GTX has solid rubber soles designed for stability and padded heel for optimal support. While nylon shanks and removable dual-density EVA footbeds support the feet with stiffness, the boots are hardly capable of bending downward from heel to toe, but the full leather upper is surprisingly flexible in the forefoot. Robust and sturdy rubber soles will provide fine traction in mud, loose dirt and sand while giving excellent grip in mountainous areas. This boot is not only designed for rough conditions, but also for people who will spend a lot of time in those circumstances. The under arch design enables feet to lean inward, and that could be a problem when neutralizing the stance which can lead to knee and ankle discomfort. Regarding aesthetics, abrasion resistant leather on the upper proved after a while to visibly show scuffing and dirt. Breathability is a somewhat weak point of the Chocorua Trail during mid-summer heat. The shape of foot bed is unfavorable, and the insole could be more comfortable making them questionable choice for some long distance hikers. Not ideal for backpacking, etc. Relying on the success of the original Breeze, Vasque introduced an improved version which is much lighter and much more breathable thanks to a Gore-Tex breathable membrane. The Breeze 2.0 is a fine midweight hiking boot with a lightweight, agile and stable design which will protect your feet from water while tearing up the trail. The upper of the boot declares to be a waterproof nubuck leather with a Gore-Tex membrane. It also includes abrasion resistant mesh patterned on the sides and the gusseted tongue for supreme breathability. It features speed lacing upper eyelets and a mid-height hook allowing you do separate top and bottom lacing tightness. The midsole features a TPU plate which will support your foot while still being flexible enough for your stability and movement. The outsole is made of true Vibram rubber, which is known for excellent traction, and with a proprietary Vasque lug design called the XSTrek, it becomes even better. 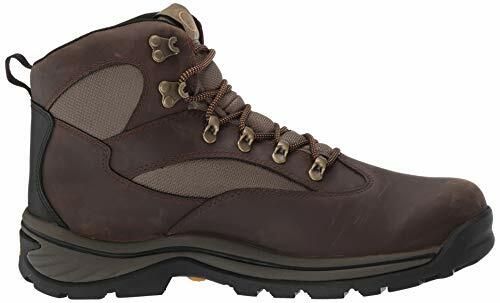 Thanks to the design of built-in air mesh and the Gore-Tex membrane, this is without a doubt on of the most breathable, lightweight hiking boot around considering it is a bit heavier in that division. It certainly is more suitable for warm and dry hikes and with one of the best soles on the market it will keep your feet attached on almost every surface you decide to take on making this an exceptional boot for long day hikes and backpacking with light loads. Uppers are waterproof nubuck and Airmesh with GORE-TEX® Extended Comfort linings. Arc Tempo last makes an asymmetric curve with good vertical toe and a medium volume heel that fits higher arches well. Tapered toe box and slightly rockered construction are great for moving quickly over technical ground. Rubber toe bumpers protect the boot and your toes. Reflective piping makes it easier for cars or friends with headlamps to see you. Footbeds are dual density EVA. Midsoles are dual density EVA with molded TPU plate chassis for torsional rigidity and support. Outsoles are grippy Vibram® Contact rubber, exclusive to Vasque. Considering the fact that the Breeze 2.0 features a waterproof Gore-Tex liner providing extreme breathability, the drawback is the presence of the mesh in the boot that can cause wet feet depending on the amount of moisture. Although they are easy to break in the lightweight construction, with more seams to incorporate the mesh may lead to durability issues making them not durable as an all leather variety. So it’s up to you, are you in for a lightweight and breathable boot, or more waterproof and longer lasting boot is your preference? You have to decide the location and duration of your walk. 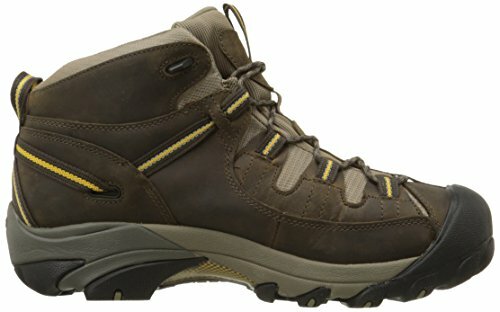 The decision of buying the right hiking boots also depends on whether you will spend a few hours or a few days hiking. If you’re going to walk in the woods, you will not choose a model that is suitable for mountain hiking and vise-verse. It is crucial that you check the weather forecast for the days you plan to spend in nature. Will it be hot or cold, rain or snow, mud or dust? All of these factors influence your final decision in buying hiking footwear. Many factors influence on comfort: how well the shoe fits your foot, how quickly the foot adjusts with lacing system and the amount of padding in the upper. Comfort and good fit go together. If your boots don’t fit you perfectly, then you cannot expect them to be comfortable. If your footwear is too tight, you will end up in blisters. That is why these two are essential factors. If you want to feel comfortable while hiking, your feet cannot be wet. A good design will make your feet dry (when splashing through puddles) and breathe well on warmer days. Because you want to spend a considerable amount of money on your hiking boots, they need to be durable as well. Most of the lightweight models don’t have a problem with durability due to well – designed details to protect sensitive materials: features are applied over the mesh portions to keep it from abrasion. Sometimes you can hear people saying that if the boot is heavier and full leather padded, it won’t wear out fast. They are not necessarily at right, but there is some truth in that statement. Leather models are quite an investment, bur they will last for years. Cleaning and treating your footwear on a regular basis will increase their lifetime. Use warm water and a soft brush for everyday cleaning because sand, dust, and mud left on the shoe’s upper part will create premature wear. There are a lot of products like leather and fabric conditioners or products for suede leather and synthetic materials that can help you maintain your boots. Also, they keep out sand and dirt and keep the water out of your boots. In case your hiking footwear is not stable enough, hiking can turn into a dangerous sport. Numerous foot and ankle injuries can be prevented choosing the right hiking shoes. From the materials and thickness of the midsole, the shape and thickness of the sole depend on how much support will a shoe give you. If a shoe is stiff through the midfoot and comfortably flexible up front, it is perfect for long walks. For long hours in nature torsal stability is crucial. That is why hiking boots should be stiff enough. When required, hiking boots should be able to provide water resistance. Some manufacturers use waterproof breathable membranes. If you live in a dry and sunny climate or you just avoid rainy weather and mud when hiking, boots with waterproof breathable membrane will give you more comfort. Waterproof boots should protect your feet even when you splash trough the wet areas. To succeed in your attention to stay dry you need to check if there is space around the shoe’s tongue where water can leak. When choosing hiking boots, light is right. You have to walk for miles and addition weight will only make a hike harder. Light footwear with enough stability for ankles is the best option for the ones who spend extended periods of time in boots. Your feet need to stay put whether you hike on mud or dusty road. That is why hiking boots must handle everything – from the mud and snow to dusty roads and smooth rock slabs. The design of sole is different if they are made for slippery ground or the solid one. For example, boots made for ice or any other slick surface have sole that will lower the traction. This way, you will be safer than wearing any other model of hiking boots. Boots designed for muddy or snowy conditions have a sole that lowers the chances of getting stuck in it and doesn’t allow mud and snow to stick on them. Some hiking boots are equally comfortable on rough terrain and flat trails. The shoe that is comfortable for both short day hikes and long backpacking trips is highly valued. If you are a beginner in hiking or have a limited budget, a do-it-all shoe is the best choice for you. This is because you will explore different types of terrains until you find what kind of hiking suits you the most or, in another case, you just want to save the money. On the other hand, if you have specific priorities and less limited budget, you can buy more than one specialist shoes. These specialist shoes can give you focused performance. Also, you will have to test hiking boots for running because of the unpredicted situations that may occur while hiking. Choose the model that feel natural to run in. The appearance of the boot is important (especially for women), but all above mentioned criteria must be your priority. Don’t forget that most of the models come in a variety of colors and some of the models are very neutral so both men and women can wear them. Our small list will give you an idea what are the features of perfect hiking boots. Write down on paper what features you want your boot to have and then compare it to the models from the list above. We couldn’t recommend more the Vasque Breeze 2.0 GTX. This hiking boot is perfect for both beginners and professionals. It is not to light nor heavy which makes it ideal for different types of terrain. This way, it saves your money because you don’t need to buy another pair of boots if you often change hiking routes. In our opinion, these are the BEST HIKING BOOTS FOR 2017. They are very comfortable on feet keeping them dry and warm. Also, they provide ankle stability and foot breathability. If you are in need of boots which will give you perfect breathability and moderate water resistance, this is a go for you. All in all, this model saves you money, keeps your feet comfy, dry and safe and can handle the most demanding terrain. Good luck on your next hiking adventure in your new boots! The Essential Items When Going Camping.